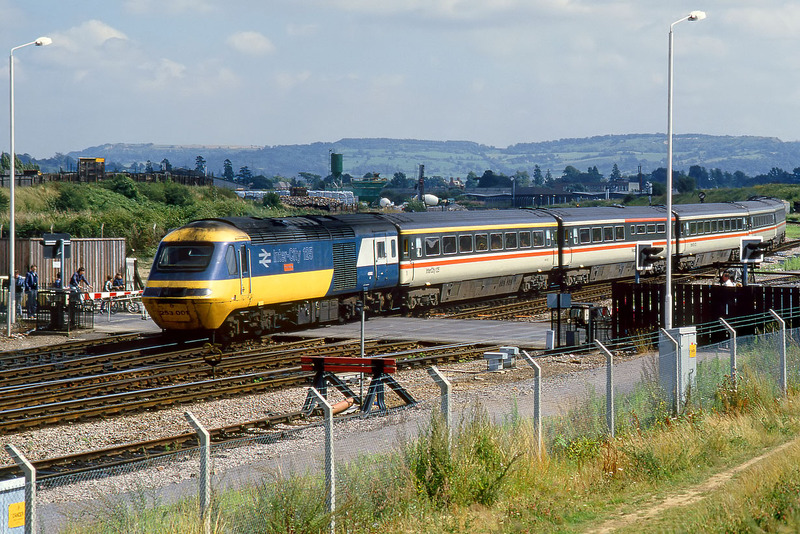 The first production HST power car, 43002 received the name Top of the Pops on 30 August 1984, and the nameplate can clearly be seen in this view as it arrives at Gloucester with the 10:39 Manchester Piccadilly to Plymouth service on 21 August 1985. The train is just crossing over the Horton Road level crossing, a notorious traffic bottleneck, which this train will again traverse after reversing at Gloucester station, as all north to south services have to do. It will depart on the lines in the foreground.